It has been a quiet time for the grain market over the past week as growers turn their attention to drilling next year’s crop. Conditions are “near perfect” for many following some much-needed rainfall and localised showers are encouraging drilled crops through nicely. As a rough guide, feed barley for harvest 2019 collection is currently indicated in the region of £140.00/T ex-farm. 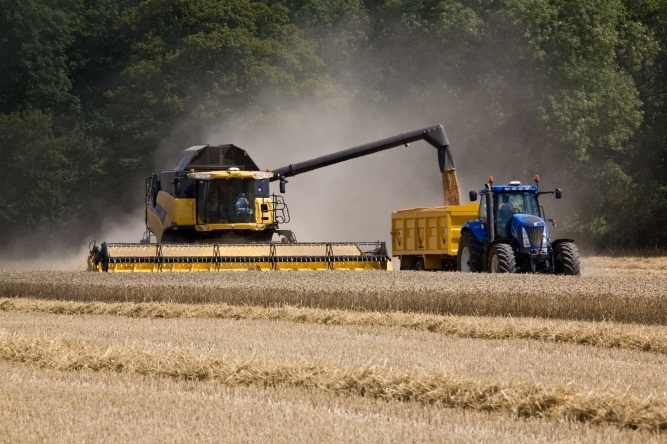 Feed is for September 2019 collection is valued in the region of £160.00/T ex-farm. Please speak with the office to discuss your requirements. As for this season’s crop, feed wheat for October collection has traded at £172.00/T ex-farm this morning. Many growers are finding it difficult to track the market at the moment (as are we). Movement on the London LIFFE screen is not always reflected within the ex-farm value due to a general lack of buyer interest and a bearish market sentiment. For example, a £2.00/T increase on the screen does not automatically apply to yesterday’s ex-farm price. Keep in touch with your trader to keep up to date with current values! Feed barley for October/November collection is valued at £170.00/T ex-farm. According to Reuters, “parched soils have hampered late-summer OSR sowing in Europe, raising the prospect that farmers will shift toward attractively priced wheat for next year’s harvest. Rainfall in Northern Europe over the past month should also give an advantage to cereal sowing after a torrid summer that hit harvesting and then OSR drilling”. Similarly in the first sowing outlook for next season’s harvest, the International Grains Council has forecast the global wheat area to rise for the first time in four seasons, encouraged by higher prices. They added that here in the UK, “improved prices and favourable weather could boots winter wheat plantings, but problems with weed control have raised uncertainty regarding crop choices”. US harvest progress has progressed rapidly according to the latest crop progress report from the USDA, with both maize and soybean crops “harvested at the fastest pace since 2012”. As of the 23rd September, 16% of the total maize corn crop has been harvested, compared with an average of 11%. As for soybeans, harvest progress is as 14%, compared to an average of 8%. Furthermore, plants have been developing significantly faster than in previous years, with 72% of the maize crop having reached maturity by the 23rd September, 19% ahead of average. Over recent weeks, market attention has been eagerly awaiting news from the US, particularly regarding maize corn yields. With global wheat production significantly down year-on-year, the trade is keeping wheat values supressed on the promise of a large US maize crop. Potentially “record-breaking yields” in certain states stalled the global wheat rally a month ago and with harvesting now well underway, we could have some answers sooner than we thought. Conditions remain good for crops looking forward, we should have a good idea of how things are yielding in another weeks’ time. Elsewhere, market attention is beginning to turn towards the Southern Hemisphere. Planting is now underway in Brazil for both soybeans and maize corn (two commodities in which the nation has been third and second largest global producer respectively over the past five years). Weather conditions pre and post planting are key to both the rate at which farmers can progress and the successful establishment of the crop. According to AHDB, recent weather across Brazil “has been mixed, with some regions drier and others wetter than average”, making it extremely difficult to comprehend overall prospects. Early soybean planting is now underway in southern regions which have received the most rainfall in the past month. Other areas further north are drier, which could delay planting there. As for maize corn, almost 60% of the total area is now in the ground, a significant step forward on the average. As a general rule, the earlier it is planted, the larger the window between the first and second maize corn crop. As reminded by AHDB, “with the US-China trade dispute ongoing and apparently escalating, it will be interesting to see if the Brazilian soybean area increases to further expand export potential to China”. Argentina have already confirmed that they intend to increase their soybean exports in 2018/19 to 15.4 million tonnes. If realised, this would be nearly 50% higher than the previous record set in 2014. It would also account for 29% of the current 2018/19 production forecast, compared to an average of 13% over the past five years.